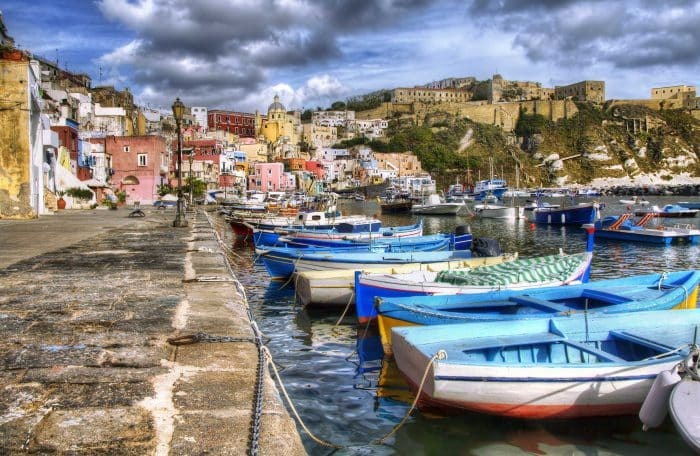 Originally founded as a Greek colony, Naples played a key role in the transmission of Greek culture to Roman society. Upon your arrival in Naples, you will be met at the airport by a private car and driver, setting out directly for a tour of the city. Your first stop will be the Piazza Municipio to see the Aragonese Arch of Castel Nuovo, inspired by the arches of the ancient Romans, and built in 1279 by Italy’s finest sculptors to honor the arrival of Alfonso I of Aragon in Naples. Your next stop will be an elegant public shopping gallery built between 1887-1891 with a grand interior of a glass roof and a 184-foot tall dome. Your tour will also include a stop at an 18th-century opera house, and Villa Comunale, the most prominent park in Naples, built in the 1780s. Break for lunch and check into Grand Hotel Vesuvio. Since 1882 the Grand Hotel Vesuvio has been the Neapolitan home for visitors from all over the world. Vesuvio is the only 5 Star Deluxe Hotel on the sea front of Naples, with 2 panoramic restaurants, fitness club with indoor pool and a host of additional amenities, attention to detail is the Vesuvio’s mantra. The atmosphere here combines old-world charm with modern comforts and the latest technology. This afternoon, you’ll visit Museo di Capodimonte located in The Royal Palace on the Capodimonte hilltop. Built for the 18th-century King of Naples and Sicily, Charles of Bourbon, the palace looks out over a striking panorama, encompassing Vesuvius, the San Martino Hill and Posillipo. In its original incarnation, the palace was a hunting residence as well as a museum for the priceless collection of art and antiquities which the king inherited from his mother Elisabetta Farnese, daughter of the Queen consort of Spain. The palace museum now houses the Galleria Nazionale (National Gallery), home to paintings spanning from the 13th to the 18th centuries. Highlights include works by Raphael, Titian, Caravaggio and El Greco, as well as paintings of the Neapolitan School. The original Farnese Collection is housed on the ground floor. Also of note are the 18th-century royal apartments, furnished in period style with a collection of majolica and porcelain on display. Return to the hotel this evening in time to rest before your dinner, for which we recommend La Barrique, an intimate restaurant which offers an extensive wine list and a small, but incredibly well-executed menu. After breakfast this morning, you’ll begin your tour of the city’s old quarter. Founded in the fifth century BC, the historic center of Naples is the largest in Europe. As the former capital of duchies, kingdoms, and one empire, the old quarter is comprised of stratifications belonging to different ages, from the Greek-Roman period to the modern day. You’ll visit the Church of Gesù Nuovo, built for the Jesuits in the 16th century on the Palazzo Sanseverino, with polychrome marble decorations and richly-decorated chapels in its interior. Next, you’ll see the Convent of Santa Chiara, featuring a wonderful 18th century majolica-tiled cloister, and the Sansevero Chapel, which houses 18th century sculptures and two anatomical figures by the Prince of Sansevero, the eclectic man who first commissioned the Chapel (Closed Tuesdays). Beneath a Gothic church in the city, lie impressive remains from the Greek and Roman Ages, during which the area was a Greek agora and a Roman forum. As you descend underground, a Roman street from the first century BC is visible, along which the shops of a macellum (an ancient Roman indoor market) once thrived. 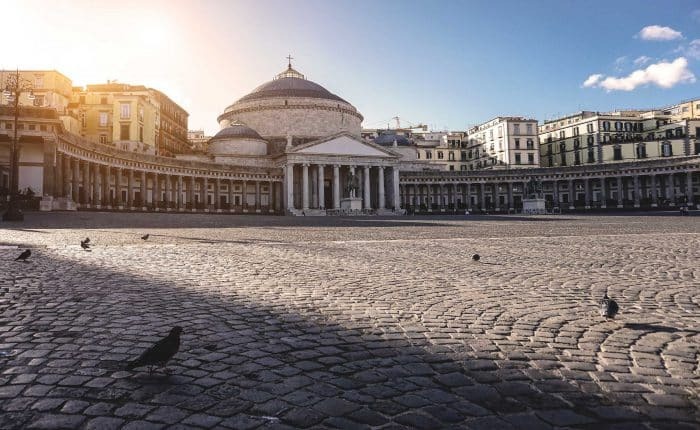 You will also visit the San Gennaro Chapel, the main church in Naples which honors the city’s patron saint, and make a final stop at the Pio Monte della Misericordia, a church famous for its works by Caravaggio. Our suggested lunch today is at a typical Neapolitan pizzeria, serving the smaller, softer, and minimally topped pies for which Naples is so famous. You’ll have the remainder of the day to do some shopping in the commercial area of Vomero in central Naples. For dinner tonight we will recommend family-run restaurant which serves local wines and simple yet delicious home style Italian cuisine. This morning following breakfast at your hotel you will have time to do some shopping along the famous Via Chaia, home to local brands like Armani, Valentino, Eddy Monetti, Rubinacci, and Marinella. Later this afternoon, you will be transferred to the airport in time to meet your return flight home or to continue on to the next leg of your Willing Foot journey.